In a shocking moment a carer accidentally got crushed by an elephant. The video footage clearly shows the man washing the elephant in southern India. 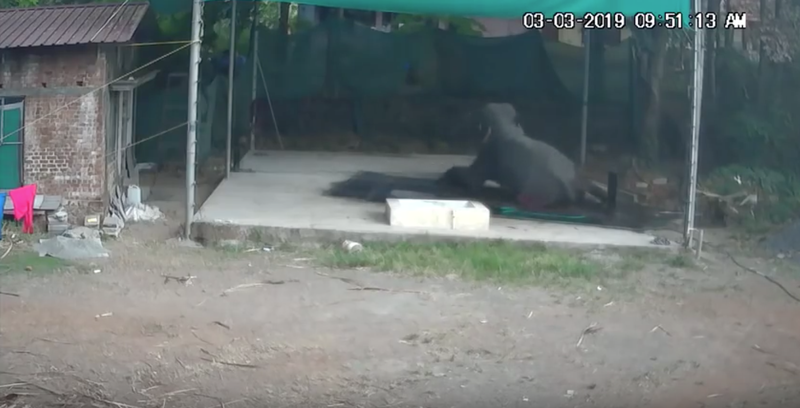 He is seen to want to make the elephant lay down to allegedly clean his back and subsequently loses his footing just as the elephant sits down. It seems both man and beast slipped on whatever surface they were both on. Another man is seen rushing to the scene to try safe the man underneath the elephant. His efforts are in vain as he could not save his friend. According to Daily Mail, an investigation is being carried out into the tragedy involving the elephant, which was owned by a local hospital trust.